Home » author requested review , books » ‘Bala takes the plunge’ is funny in parts..! ‘Bala takes the plunge’ is funny in parts..! The Chetan Bhagat effect in the Indian publishing industry is undeniable.He inspired quite a number of men and women to write on ‘the young urban educated Indian’ in simple(often plain) language. Even the international publishing giant,Penguin started a new line of low prized books,aimed solely at the masses(or the ‘new readers’). Most of the popular bloggers(Amit Verma,Sidin Vadukut,Arnab Ray,Meenakshy Reddy Madhavan et al) turned authors overnight evoking mixed responses.As Mr Surender Mohan Pathak, the grandmaster of Hindi crime fiction rightly said in an interview ‘there is a Chetan Bhagat kind of book releasing every fifteen days,these days’. 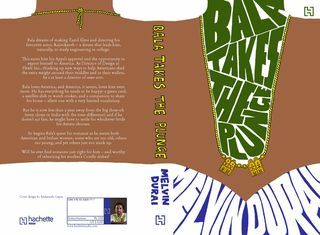 ‘Bala takes the plunge’ is humour columnist ‘Melvin Durai’s debut novel published by ‘Hachette india’.Prized at a modest 195 INR,this book has the potential to become the next ‘big thing’ in the so called ‘commercial fiction’ market provided it’s marketed well. Melvin’s prose is more like an ‘Anurag Mathur’ than a Chetan Bhagat.’Bala takes the plunge’ is the story of Balasubramanium,a middle class tamil boy who dreams of making tamil films and directing his favourite actor,Rajnikanth.After completing B.E. from Tiru Harischandran Institute of Technology(THIT),he ends up in the U.S. as the director of design at FlexIt Inc which makes exercise machines.Bala’s life in the U.S and his attempts to find a suitable match forms the rest of the (? )story.The plot and it’s treatment is quite similar to Anurag Mathur’s ‘The Inscrutable Americans’ which came out almost two decades ago.But still,’Bala takes the Plunge’ manages to raise a few laughs and that’s where Melvin Durai scores.Traces of black humour can also be seen in the flexerciser episode. The two scenes in the book which I liked the most were the one in which Bala joins the Sociable fun ride group(Melvin also manages to make a few statements here) and the one in which Bala names his dog America. On the whole ,’Bala takes the Plunge’ is the kind of book which you can make use of on a boring Sunday afternoon.If you are not looking for a light read,please stay away from this one. good review. Is the book available in bookshops? Thanks for the review, Nikhilesh. I appreciate it.